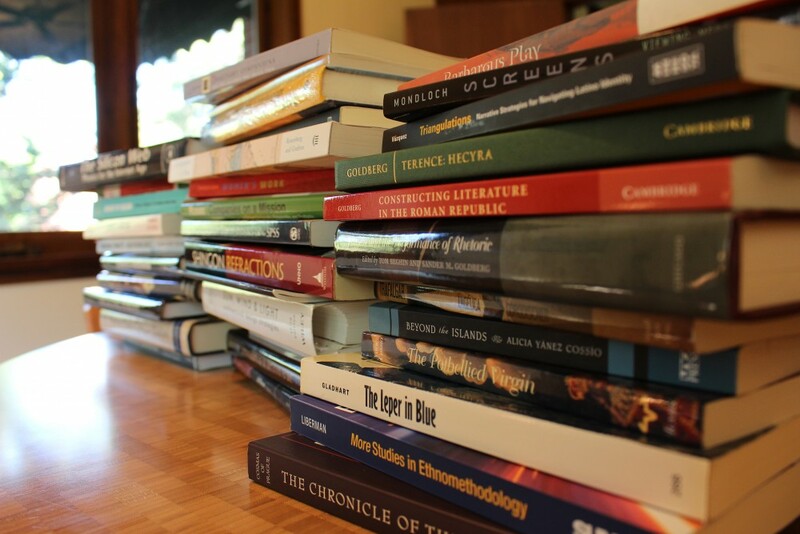 A pilot program to celebrate books published by faculty members will debut in the fall under a collaboration with the UO Libraries, College of Arts and Sciences, Office of the Provost and President Michael H. Schill. The UO Authors, Book Talks series will feature a book written by a faculty author for fall, winter and spring terms during the 2019-20 academic year. One author from the university will be selected each term to give a 30-minute presentation about his or her book, followed by a question-and-answer session and a reception at the UO Faculty Club in the Jordan Schnitzer Museum of Art. Adriene Lim, dean of the UO Libraries and Philip H. Knight Chair, and Carol Stabile, associate dean in the College of Arts and Sciences, initiated the series as a way to recognize significant research and acknowledge faculty members who have had books published. The three authors and their books will be selected by an evaluation committee made up of representatives from UO Libraries, the College of Arts and Sciences, the College of Design and the Clark Honors College. If the pilot program is successful, in future years selection committee members will be drawn additionally from the School of Music and Dance, the School of Law, the Lundquist College of Business, the School of Journalism and Communication, and the College of Education. To be eligible for the series, the authors must have their books published between Sept. 1, 2017, and Sept. 1, 2019. Also, books will be chosen if they have a potential interest beyond a single field. The evaluation committee will also consider awards received by the authors, along with book reviews, when making selections. UO authors, their faculty colleagues and deans all can nominate books for consideration. Self-nominations are welcome but must be made in consultation with the department head or dean. Textbooks will not be considered for the series. Take this survey to nominate an author. The deadline for nominations is April 8. All books and authors reviewed will be included in a comprehensive digital exhibit and highlighted on the UO Libraries’ website during the academic year, even if the authors are not selected as presenters. For more information about the series or upcoming events, contact libadmin@uoregon.edu.